It was 100 years ago this year that the Reverend George Bennard wrote what many consider to be the most beloved hymn of all time, "The Old Rugged Cross." "I seemed to have a vision . . . I saw the Christ and the cross inseparable," he wrote in his memoirs. 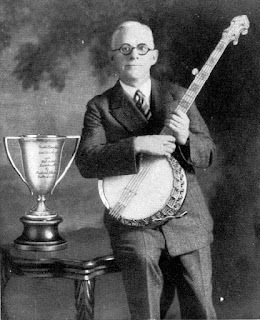 He wrote the song over a month in 1912 as he traveled to revival meetings. The melody came easily, but he labored over the words in the four verses and refrain. The hymn, published in 1913, was immediately successful. 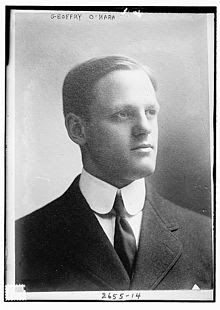 Bennard (pronounced Benn-ARD), who was born in Youngstown, Ohio, was the son of George and Margaret Russell Bennard, of Scottish descent. The couple, who had five other children, moved their family to Albia, Iowa, where the senior Bennard ran a tavern. When the tavern burned, the father turned to mining coal. An accident led to his death at 49, forcing young George, at 16, to support his mother and sisters as a miner. In 1895, at age 24, Bennard became a minister when he enlisted in the Salvation Army at Rock Island, Illinois. By 1898, he was conducting revival meetings throughout the Midwest, later transferring to New York, where he resigned in 1910 to go out on his own as a Methodist evangelist. It was at that time that he began composing hymns. Bennard settled at Albion, Michigan and opened his own hymn publishing company. It was there that he likely began writing The Old Rugged Cross. The hymn was first sung formally at a revival meeting at Pokagon, Michigan. Evangelist Billy Sunday popularized the hymn on his nationally broadcast radio show. 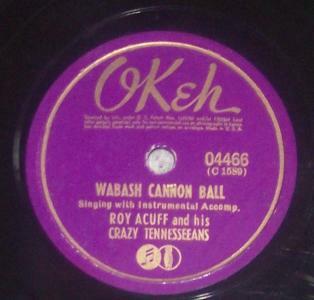 By 1939, more than 15 million copies had been sold and numerous recordings made. In all, Bennard composed about 350 hymns but none was as successful as "The Old Rugged Cross." He died of asthma in Reed City, Michigan on October 10, 1958. Sing 'Star Spangled Banner' your own way, says Geoffrey O'Hara, Noted Composer Has Revised National Anthem. "Discovered: The True Way to Sing The Star Spangled Banner.'" When this headline appeared in a New York paper it may have carried a bit of a jolt to the worthy few who for years had risen with the first strains of the national anthem to sing unfalteringly to the last note. By this same virtue undoubtedly many who had hummed, rejoiced and secretly resolved to learn the words. 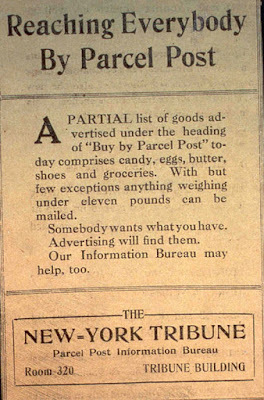 But what New Yorkers thought may never be known, for as the story unfolded it developed that the true way to sing The Star Spangled Banner was "everybody's way or, the people's way," according to Geoffrey O'Hara, the famous composer and Irish tenor, who ultimately brought the revision we sing today to the American public. O'Hara had long resented the fact that an American audience must sing its own national anthem in someone elses way. He believed that the American public had a very definite idea and a certain unanimity of self expression when allowed to sing the song unguided, and he decided to let the people settle the question. Phonograph records were made of various audiences singing without direction. 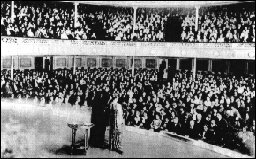 Three of these audiences in New York had twenty-five hundred or more in the house. When later these records were compared, O'Hara was able to prove that the people did not sing "The Star Spangled Banner" in the original Francis Scott Key key or in the way of the United States Army and Navy ,or in the version of the American Board of Education, yet universally they sang it exactly the same way, the way of the people. It was about this time that O'Hara was asked to prepare an arrangement of the anthem to be sung by the Mendelssohn Choir of Toronto in New York. So, guided by his phonograph records and his experience as song leader in the army, where he found the men sang their national anthem in the same unauthorized way, regardless of their native state, he proceeded to produce a new "Star Spangled Banner." "The Star Spangled Banner", was ordered played at military and naval occasions by President Woodrow Wilson in 1916, but was not designated the national anthem by an Act of Congress until 1931. In September 1814, during the War of 1812, the British arrested Dr. William Beanes, an American accused of sending three British soldiers to jail. He was held aboard a British ship stationed off the Baltimore coast. Francis Scott Key, a well-known lawyer and poet, was asked to secure the doctor’s release. Departing from Baltimore, Key and Colonel Skinner, a U.S. agent in charge of American prisoner exchange, set sail on a small boat in search of the British ship. Flying a flag of truce, they sailed for several days before they spotted and, soon after, boarded it. Initially, British commanders refused to be swayed by Key’s arguments to free Dr. Beanes. When Key presented letters from wounded British soldiers who had been treated fairly by Dr. Beanes, they relented. Unfortunately, Key, Skinner, and Dr. Beanes had heard about preparations for an upcoming attack while on board. They were not permitted to return to Baltimore and were escorted under guard to their boat. Early in the morning of September 13, 1814, Key, Skinner, and Dr. Beanes watched from their boat as the British attacked Fort McHenry. Rockets streaked across the sky and cannons boomed. Some time before dawn, the dark skies fell silent. Unknown to the three men, the British had decided to abandon the assault. As dawn drew nearer and nearer, Key searched for a sign through the clearing smoke. Had Fort McHenry fallen? When daylight finally arrived, the American flag waved gallantly in the breeze. 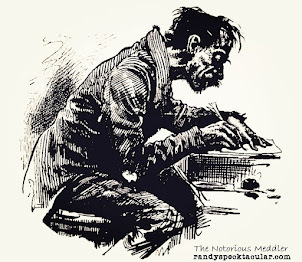 The sight so moved Key that he began writing a poem on the back of a letter retrieved from his pocket. He completed the poem later in his Baltimore hotel room. The following morning, Key showed the poem to his brother-in-law, Judge J. H. Nicholson. Nicholson liked the poem so much, he had it printed under the title, “Defense of Fort McHenry,” and distributed it throughout Baltimore. Nicholson also suggested the words be put to the tune of “To Anacreon in Heaven,” a song which was popular in America at the time and happened to be a British drinking song. In October 1814, a Baltimore actor sang the song at Captain McCauley’s tavern, though he called it the “Star-Spangled Banner.” It was an immediate success. Over the years, the Star-Spangled Banner grew in popularity. In 1889, the Secretary of the Navy made it the official song for all flag raisings. Later, in 1916, Woodrow Wilson, our twenty-eighth president, boosted its status further. He proclaimed it the national anthem of all the armed forces. But it was not until the 1918 World Series that the song took hold of America during a game that almost didn’t happen. America had been involved in World War I for a year. Out of respect for the soldiers, baseball officials wanted to cancel the World Series between the Boston Red Sox and the Chicago Cubs. When it became known, however, that American soldiers fighting in France were eager to know the Series’ results, the games commenced. To honor these brave men, the officials had the band play the Star-Spangled Banner during the seventh-inning stretch of the first game. And, the rest is history. Soon it became tradition to play the Star-Spangled Banner at all baseball games and, eventually, nearly all sporting events. 50,000 total page views (50,007) as of this post dated September 12, 2012. Geoffrey O'Hara was a Canadian American composer, singer and music professor. Born February 2, 1882 in Chatham, Ontario, Canada, he initially planned a military career, but abandoned that idea when his father died. He moved to the USA in 1904, the same year he began performing in Vaudeville. 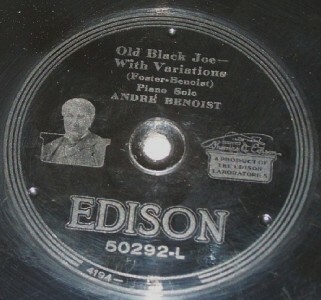 He began recording for Edison Records in 1905. In 1913 O'Hara undertook the recording of traditional Indian songs on behalf of the American government. In 1914, he was recorded on phonograph cylinder lecturing about the complexity of the music as well as singing and playing several types of Navajo traditional songs. During World War I he was a singing instructor of patriotic songs for American troops. In 1919 he became a naturalized citizen of the United States and began lecturing on music and songwriting, a task he continued for the remainder of his life. He held positions at Teachers' College of Columbia University, Huron College and the University of South Dakota, where in 1947 he received and honorary Doctor of Music degree. In 1920 O'Hara helped organize The Composers' and Lyric Writers' Protective League. He also was a board member of the American Society of Composers, Authors, and Publishers (ASCAP), was the president of the Composers-Authors Guild. O'Hara composed over 500 popular and patriotic songs and hymns. He had some moderate popular music hits in the 1910s with songs such as Your Eyes Have Told Me What I Did Not Know (1913), Tennessee, I Hear You Calling Me (1914), The Old Songs and one huge hit with K-K-K-Katy (1918), one of the most popular tunes of the World War I era. He was commissioned by the Wilson administration to compose the modern day version of the Star Spangled Banner. O'Hara died on January 31, 1967. Multi-talented musician and composer Frederick W. Hager (xylophone) was a prominent figure in the early recording industry. He was a widely recorded bandleader for several record companies. 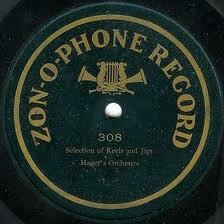 His Hager's Band and Hager's Orchestra appeared on many dozens of Zonophone disk recordings. 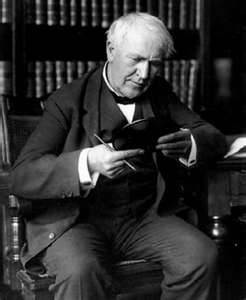 For a time, according to the October 1903 Edison Phonograph Monthly, he directed the Edison Concert Band. In this recording of Blue Bell, we get a rare hearing of Hager as a soloist. To listen to recordings by Frederick W. Hager, or other early recording artists, visit the Cylinder Preservation and Digitization Project at the University of California at Santa Barbara. Helen Clark. 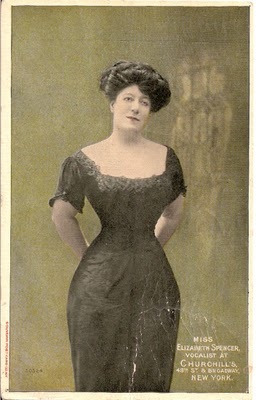 The New York-born contralto made many popular recordings between 1910-1930, as a soloist, in duets, and as a member of Victor Light Opera Company. 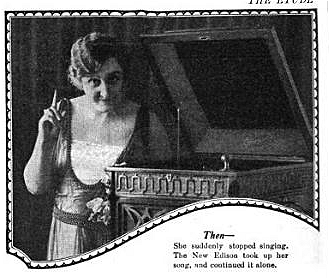 Her collaboration with Billy Murray, "Come On Over Here" (Victor 17441, 1913), was a major hit. "Sympathy" (Victor 17270), a duet with Walter Van Brunt, was a top seller in early 1913. To listen to recordings of Helen Clark, or other early recording artists, visit the Cylinder Preservation and Digitization Project at the University of California at Santa Barbara. The French pianist, Andre Benoist, was born on April 4, 1879 in Paris. He studied at the Paris Conservatoire and then later toured Europe and America as accompanist to Pablo Casals, Albert Spalding and other celebrated artists. 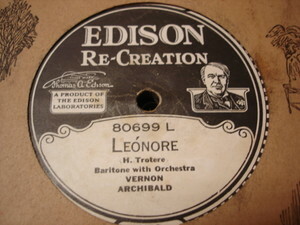 He made several recordings for Edison Records and Victor. Benoist died June 19, 1953 in New Jersey. To listen to recordings of Andre Benoist, or other early recording artists, visit the Cylinder Preservation and Digitization Project at the University of California at Santa Barbara. To listen to recordings of Andre Benoist, or other early recording artists, visit the Cylinder Preservation and Digitization Project at the University of California and Santa Barbara. Labels: Albert Spalding, Andre Benoist, Edison Records, Phonograph. Orpheus Male Chorus. One of the most important figures in pre-jazz African-American music, Will Marion Cook is also one of its better known personalities. As a composer, conductor, performer, teacher, and producer, he had his hand in nearly every aspect of the black music of his time and worked with nearly every other important musician in his fields. Uncompromising and difficult to work with, he still commanded respect from his peers for his abilities and accomplishments. In 1881 he was sent to Chattanooga, Tennessee, to live with his grandfather where he heard black folk music for the first time. However, Cook's early career remained focused on classical music and violin performance, which he began at age 13. 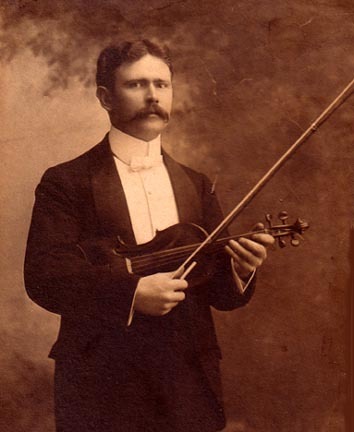 When he was 15, Cook studied violin at Oberlin College. Cook was sent to Europe to study and as a result, he studied with Joseph Joachim, the famous violinist and associate of Brahms. Upon his return to the U.S. in 1890, however, his classical career went nowhere. Since he was unable to find employment at any musical institution, he began to teach music privately. Among his students was Clarence Cameron White, who later became famous as a violinist and composer. Cook's earliest composition was Scenes from the Opera of Uncle Tom's Cabin--intended for the Chicago World's Fair of 1893, but which was not performed. Cook turned to popular music as his classical career was not successful. He began writing songs. Cook was well represented on disc and cylinder. In 1914, he conducted a group, the Afro-American Folk Song Singers, in a Columbia recording of Cook’s black folk-anthem entitled, “Swing Along,” which was sung by the Orpheus Male Chorus on Edison. Cook remained an important figure in the new century. 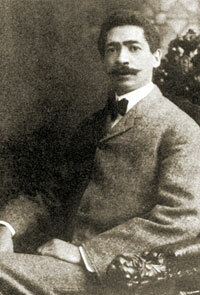 He wrote and published many songs, was prominent as a conductor and music director. A historic concert on May 2, 1912, at Carnegie Hall featured his 150-voice chorus in a performance of Swing Along! 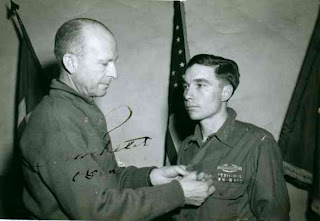 Cook died of cancer in New York in 1944. As mentor and teacher, Cook influenced a generation of young African-American musicians, including jazz composer and performer Duke Ellington, who studied with Cook. To listen to recordings by the Orpheus Male Chorus, or other early recording stars, visit the Cylinder Preservation and Digitization Project at the University of California at Santa Barbara. In mid-1915, Young replaced Robert D. Armour with the American Quartet. He also sang in, and managed, the Criterion Quartet. 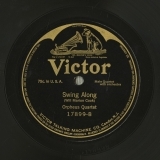 The new edition of the American Quartet enjoyed great success, beginning with its first Victor release, "War Song Medley." 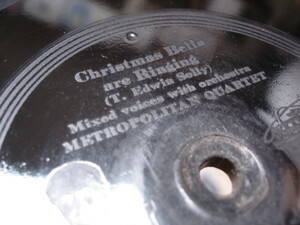 The American Quartet recorded for several companies--not only Victor and Edison but Columbia, Okeh, Emerson, Pathe, and Vocalion. To listen to recordings by John Young, or other early recording artists, visit the Cylinder Preservation and Digitization Project at the University of California at Santa Barbara. Rae Eleanor Ball was a violinist for the RKO vaudeville circuit and apparently had a working relationship with Deppen. The two most always appear together on recordings with Ball on violin and Deppen on piano. A rose to prove, to prove your love. I wait the love-light, the love-light that beams in your bright eyes. The Metropolitan Quartet was a vocal quartet of men who performed in the New York City area in the years 1890 until about 1902. The group consisted of Robert J. Webb (first tenor), Peter J. Collins (second tenor), James J. Byrne (baritone), and Richard Schumm (bass). For several years they appeared at amateur light opera presentations, in minstrel shows and frequently as choir singers. The group became professional in 1895. To listen to recordings of the Metropolitan Quartet, or other early recording artists, visit the Cylinder Preservation and Digitization Project at the University of California at Santa Barbara. Labels: Edison Records, Metropolitan Quartet, Phonograph. 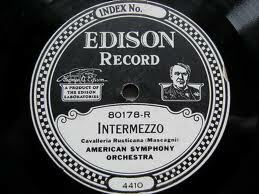 The ensemble was headed by violinist Eugene A. Jaudas, for many years Edison's orchestra leader. 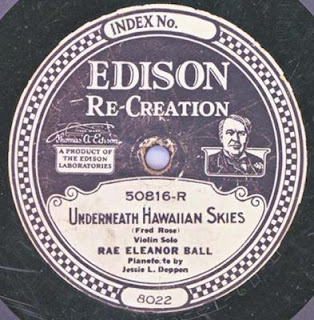 Its hits included "Missouri Waltz" (Edison Blue Amberol 2950, 1916) and "The Darktown Strutters' Ball" (Edison 50469, 1918). To listen to recordings by Jaudus Society Orchestra, or other early recording artists, visit the Cylinder Preservation and Digitization Project at the University of California at Santa Barbara. Labels: Edison Records, Eugene A. Jaudus, Jaudus Society Orchestra, Phonograph. Frederick J. Wheeler, also known as James F. Harrison, rose to prominence as part of the gospel duo, James F. Harrison and Harry Anthony, and enjoyed a string of hits as a soloist, paired with James Reed (real name: Reed Miller), and as a member of the Knickerbocker Quartet. 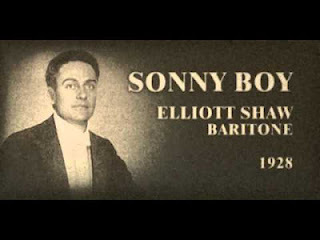 The baritone balladeer's top- selling recordings included "Keep the Home Fires Burning" (Victor 17881, 1915/16), "My Little Dream Girl" (with Reed, Victor 17789, 1915), and "There's A Long, Long Trail" (with Reed, Victor 17882, 1915/16). 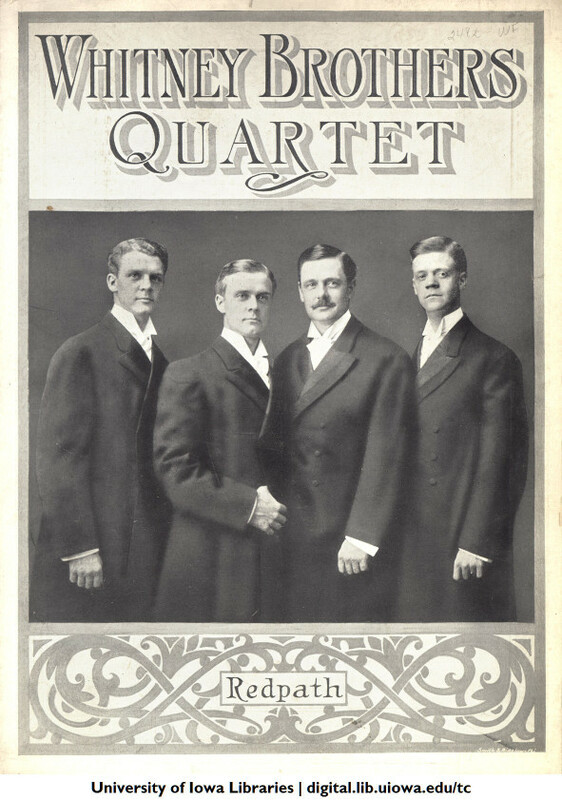 The Knickerbocker Quartet was formed in 1908 to replace the Edison Male Quartet. Original members were John Young, George M. Stricklett, Frederick Wheeler and Gus Reed. Personnel changed around 1912. Young and Wheeler were joined by Walter Van Brunt and William F. Hooley. To listen to recordings made by Frederick J. Wheeler/James F. Harrison, or other early recording artists, visit the Cylinder Preservation and Digitization Project at the University of California at Santa Barbara. Baritone Elliott Shaw started his recording career 1907 with the Victor Company. He sung solo and in different duos, trios and quartets and was the singing part of many well known orchestras till the end of the 1920's. He was a Member of the Victor Light Opera Company, the Trinity Choir, the Shannon Quartet, the Shannon Four, the Crescent Trio, the Victor Light Opera Sextette, the All Star Trio, the Hawaiian Trio and the Revelers. 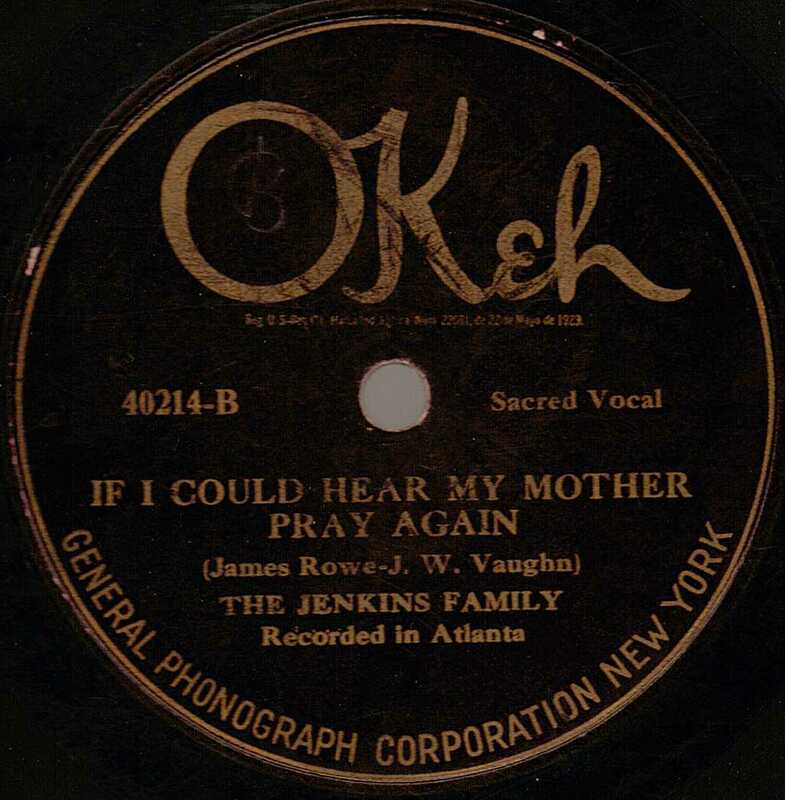 The Revelers' recordings of "Dinah", "Old Man River", "Valencia", "Baby Face", "Blue Room", "The Birth of the Blues" and many more, became popular in the United States and then Europe in the late 1920s. All of the members had recorded individually or in various combinations, and formed a group in 1925. 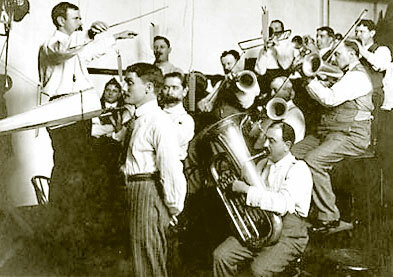 Other members, besides Shaw, were tenors Franklyn Baur and Lewis James, bass Wilfred Glenn, and pianist Ed Smalle, who was later replaced by Frank Black. The group appeared in a short movie musical, The Revelers (1927), filmed in the sound-on-disc Vitaphone process. This one-reel short film, recently restored by "The Vitaphone Project," shows the group performing "Mine", "Dinah", and "No Foolin'". A second short, filmed the same day with another three songs, awaits restoration. The Revelers were stars on radio and in vaudeville, as well as in the recording studio. On radio they were regulars on The Palmolive Hour (1927–31). They had a recording contract with Victor (later RCA Victor) but made extra money by moonlighting under pseudonyms for other labels (such as "The Singing Sophomores" on Columbia Records and "The Merrymakers" on Brunswick Records). The Revelers were inducted into The Vocal Group Hall of Fame in 1999. Listen to recordings of Elliot Shaw, and other early recording artists, by visiting the Cylinder Preservation and Digitization Project at the University of California at Santa Barbara. Elizabeth Spencer was an American singer during the later 19th century and early 20th century. 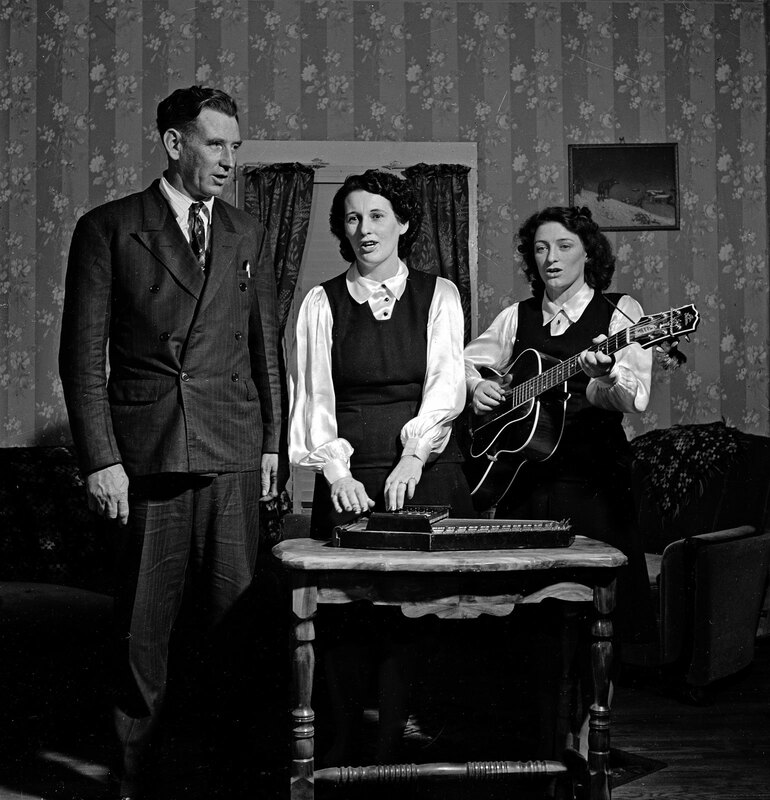 She is primarily remembered as a recording artist for Thomas Edision. She made numerous recordings for Edison Standard Records from 1888 until 1912. Her voice is noted for its sterling operatic quality combined with ability to sing in the vernacular. Spencer died in 1935. To hear recordings made by Elizabeth Spencer, or other early recording artists, visit the Cylinder Preservation and Digitization Project at the University of California Santa Barbara.